This website was designed as a way for you to meet the Anderson Clan. We are anything but normal. We will quickly admit to being crazy. But we’re happy that way. As the arms go around this clock there are people who “Tick”. These “Tickers” want everyone in the world to “Tick” just like them. They think they are the “normal” people. But then there are the people who “Tock” on this clock. They are the people who are extremely brilliant, who have Aspergers, Autism, Cerebral Palsy, have a Mental Illness or are just plain different according to “Tickers”. The Tickers get so offended by these Tockers and try so hard to change them. What they don’t understand is that a clock will not move without a “Tick” and a “Tock”. 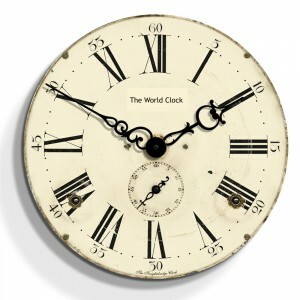 Tick-Tock goes the arm around the world clock and all is peaceful. But if we try to change each other, the clock stands still. My family is full of “Tockers” and we like ourselves that way. If you are a Ticker, be proud of yourself and like yourself that way, but don’t try to change anyone from being themselves.